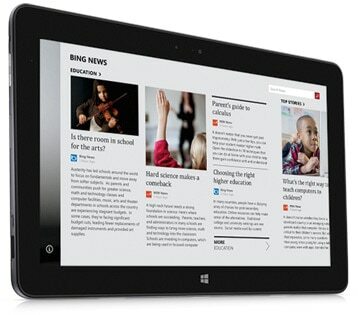 Dell Venue 10/11 Pro 5055/5130, Intel At... has been added to your Shopping Cart. You now have items in your Shopping Cart. Engineered to impress: The high-resolution 10.8" available Full HD (1920X1080) display and wide viewing angles put you and your friends in the front row of your favorite HD movies. It’s perfect for creating a stunning presentation or watching your favorite High Definition movie. Simplified collaboration: Wirelessly stream HD videos and photos from your tablet to the big screen with built-in wireless technology. All you need is a compatible media adapter (sold separately) and an HDMI-enabled display. Leave your charger at home: Power through a full workday (8-10 hours*) with the Venue 11 Pro. Its long battery life lets you fly from New York to Los Angeles on a single charge, or kick back at home and watch four movies in a row. Add the optional Mobility Keyboard with embedded battery and go even longer between charges. Multitask like you mean it: The innovative Windows 8.1 operating system powers your current, Windows 7 and Windows XP applications, so multitasking is a snap. My Dell is an easy-to-use support tool that consolidates the information you need to know about your PC. Simple: Easy access to Dell support, warranty information and services saves you time and reduces hassle. 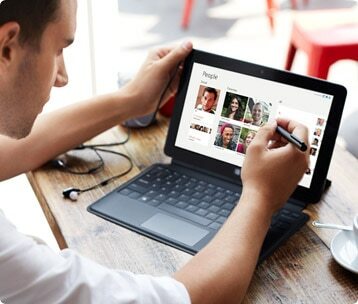 The Dell Venue 10/11 Pro 5055/5130, Intel Atom Processor, 2GB RAM, 64 SSD, 10.1 Inch Detachable & Touch Screen, Windows 8.1- Refurbished Laptops & Notebooks is manufactured by Dell. Buy the Dell Venue 10/11 Pro 5055/5130, Intel Atom Processor, 2GB RAM, 64 SSD, 10.1 Inch Detachable & Touch Screen, Windows 8.1- Refurbished at the best price in the United Arab Emirates. 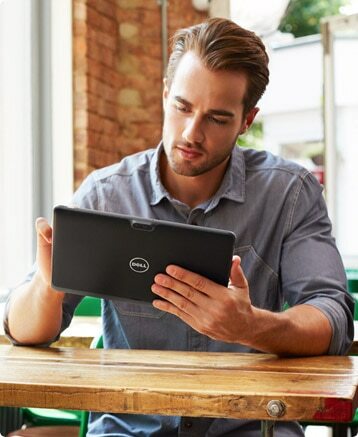 The purchased Dell Venue 10/11 Pro 5055/5130, Intel Atom Processor, 2GB RAM, 64 SSD, 10.1 Inch Detachable & Touch Screen, Windows 8.1- Refurbished can be delivered to United Arab Emirates. Buy Dell Venue 10/11 Pro 5055/5130, Intel Atom Processor, 2GB RAM, 64 SSD, 10.1 Inch Detachable & Touch Screen, Windows 8.1- Refurbished in United Arab Emirates of AED 449 and save 60%.